Are you looking for a unique, exotic, elegant fragrance that can project your presence and personality in a memorable way? If so, Versace Oud Noir and Tom Ford Oud Wood are certainly excellent choices. Both products are exotic fragrances for men. However, they indeed come with different traits and characteristics. Continue reading below to determine which one is best for you. As unique as it can be, Versace Oud Noir is also very versatile. The elegant scent is suitable for almost any occasion and any time of the year. You can use it for going to the office as well as for going out with your partner. Versace Oud Noir, launched for the first time in 2013, is a classic fragrance for men that offers a rather simple yet sophisticated scent. It is best described as warm, spicy, and woodsy. Versace Oud Noir primarily features agarwood (oud), which is supported by oriental woodsy notes, leather, and spices. The silage is rather moderate, and it has decent longevity. On the other hand, we have Tom Ford Oud Wood. This scent was released in 2007 and is still very popular right now due to the unique and complex blend. As the name suggests, Tom Ford Oud Wood is a woodsy scent. The primary scent is constructed of agarwood, brazilian rosewood, and sandalwood. The combination creates such a smooth, relaxing, and elegant atmosphere. It is furtherly enhanced by cardamom, vanilla, and vetiver for warmth and a touch of sweetness, as well as sprinkles of pepper, amber, and tonka. The silage and longevity are moderate. 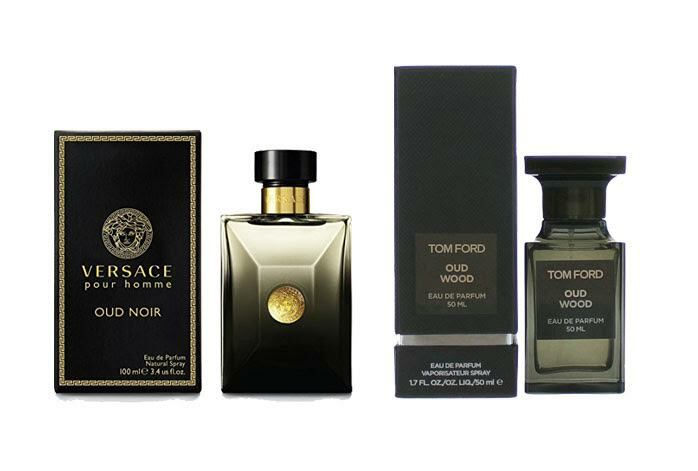 All in all, Versace Oud Noir and Tom Ford Oud Wood are indeed quite similar. Both are excellent products. Versace Oud Noir is perfect is you prefer a simple but elegant scent. Meanwhile, Tom Ford Oud Wood should be the way to go if you like a more complex elegant scent.